Dan Rybicky is an Associate Professor at Columbia College Chicago where he designs and teaches graduate and undergraduate courses in documentary, critical studies, screenwriting, and producing. As a filmmaker, Dan won numerous awards for producing and co-directing ITVS/Kartemquin Films’ critically-acclaimed feature documentary Almost There, which screened at over thirty festivals before being distributed theatrically, digitally, and on public television in 2016. Dan’s latest short documentary about health care filmed in (and titled) Accident, MD premiered in May 2018 at the Maryland Film Festival’s Opening Night Shorts Gala. After receiving his BA at Vassar College and his MFA at NYU’s Tisch School of the Arts, Dan began working with and consulting in various production capacities for Martin Scorsese, John Sayles, and John Leguizamo. 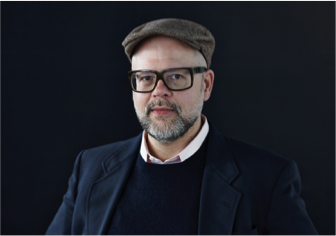 Dan was recently a consulting producer on The Area, which premiered in April 2018 at the Full Frame Documentary Festival, and he is currently producing Genius of a Different Hue, a new feature documentary about the history of black advertising in development with Kartemquin Films.